Our performances draw on diverse musical traditions including chamber music, experimental music, popular musics, multimedia performance, electronica and improvisation. 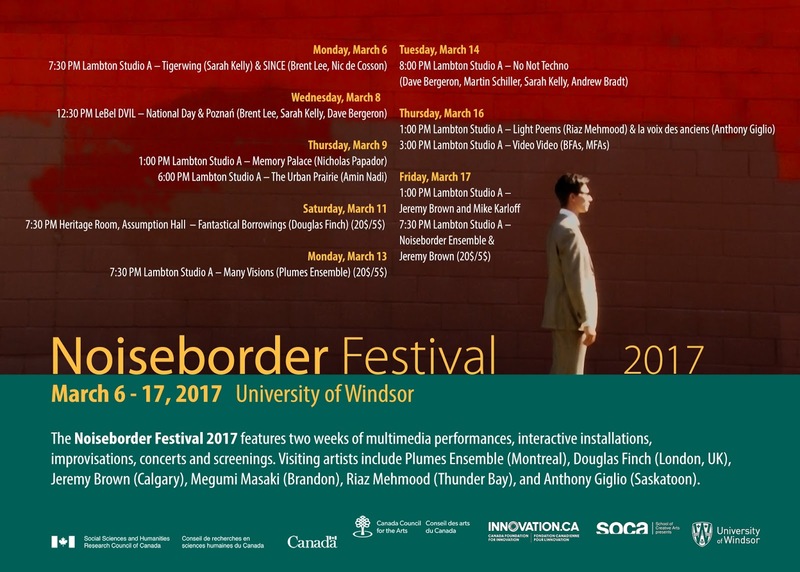 The Noiseborder Festival 2018 features two weeks of multimedia performances, interactive installations, improvisations, concerts and screenings. 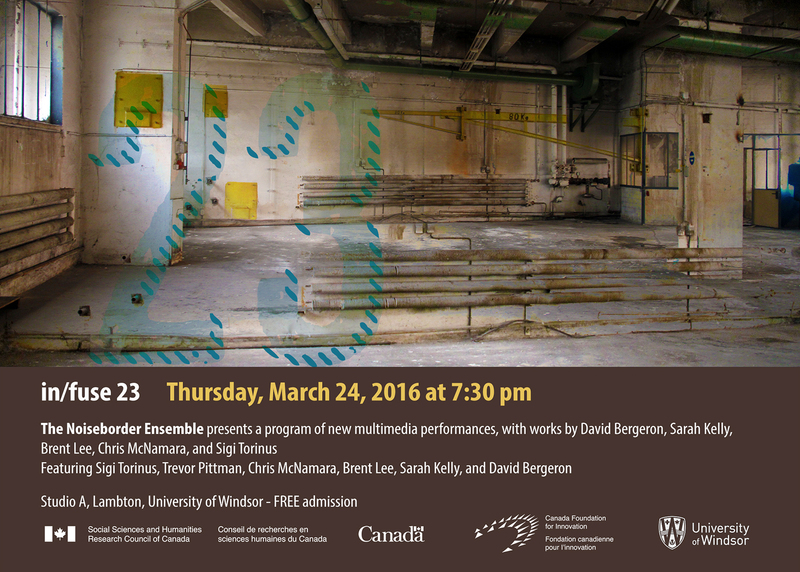 Visiting artists include Megumi Masaki, Sahlia Wong, and Chris Myhr. 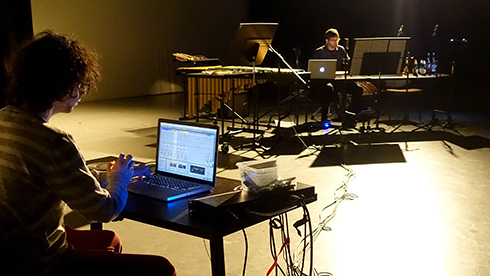 Festival closing events today at Studio A! 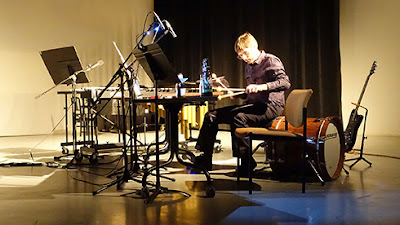 Nicholas Papador performs Chris Cerrone's "Memory Palace" for percussion and electronics. 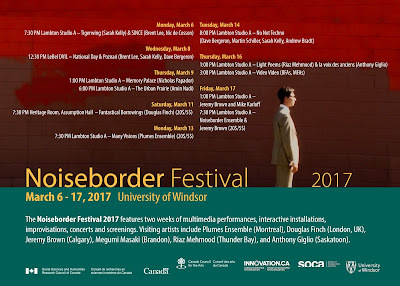 - a great first night of the Noiseborder Festival! 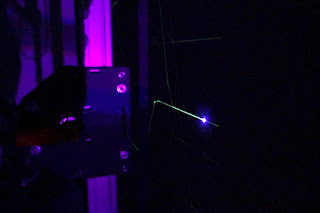 For the schedule of events, check out the NMPL site. 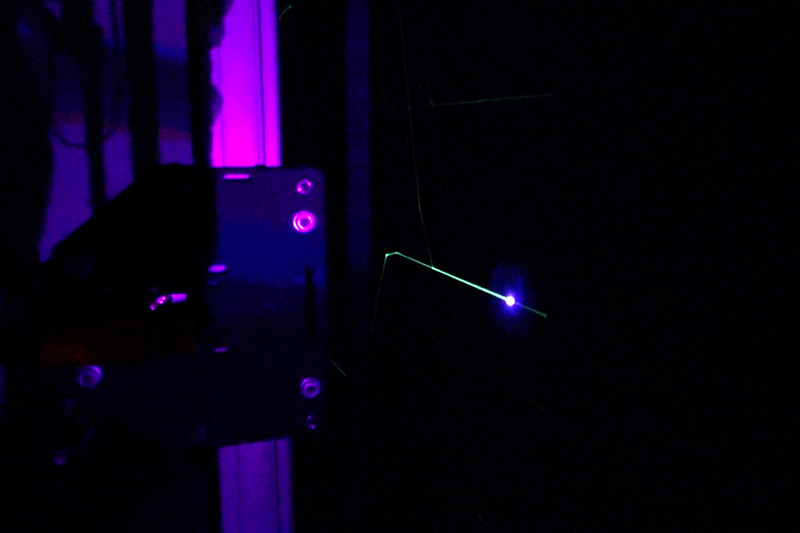 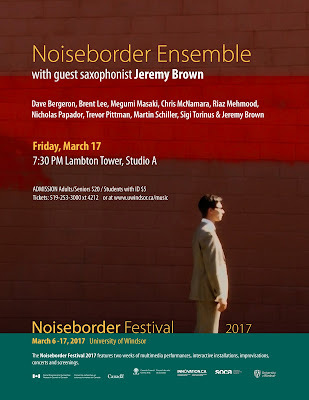 The Noiseborder Ensemble will present a program of new multimedia performance pieces and video art on March 24 at 7:30 in Lambton Studio A, University of Windsor, ON. 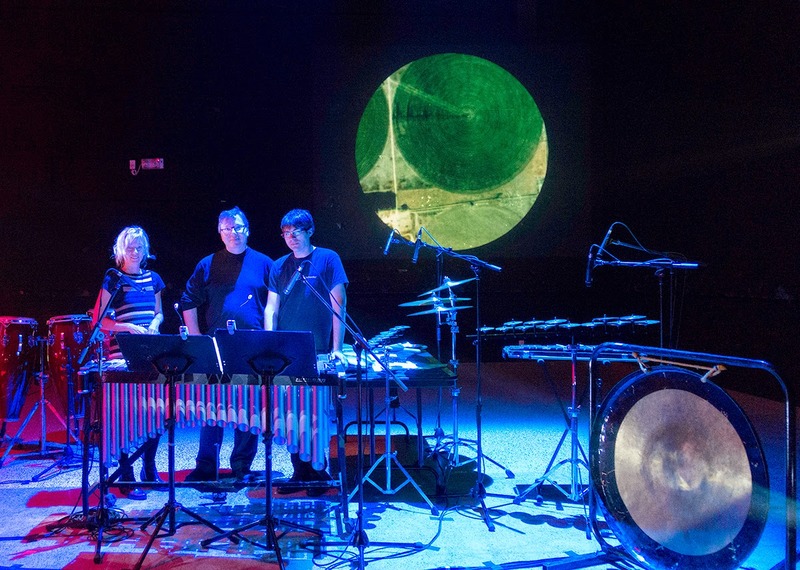 Founded in 2008, the Noiseborder Ensemble is a group of visual artists and musicians that work together to create interactive works that explore potential relationships between the visual and the sonic. We have created more than 30 works and performed them across North America and Europe, most recently at the Festival des musiques de création in Québec and at the Colab festival in London, England. 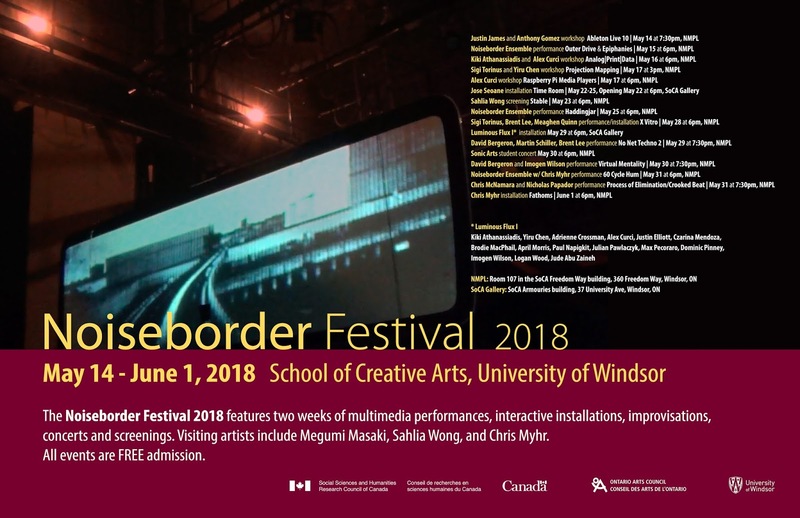 The Noiseborder Ensemble creates and performs multimedia works featuring a combination of acoustic and electronic instruments as well as live processing and mixing of sound and video. 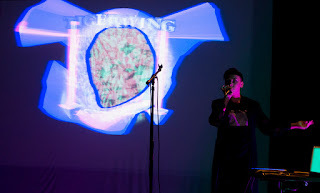 Based in Windsor, Ontario, Canada, the group has presented more than twenty original multimedia pieces since its inception in 2008. Members include Sigi Torinus (video, visual design), Trevor Pittman (clarinets, composition), Nicholas Papador (percussion, composition), Chris McNamara (video, sound design), Megumi Masaki (keyboards), Brent Lee (saxophones, composition, sound design). 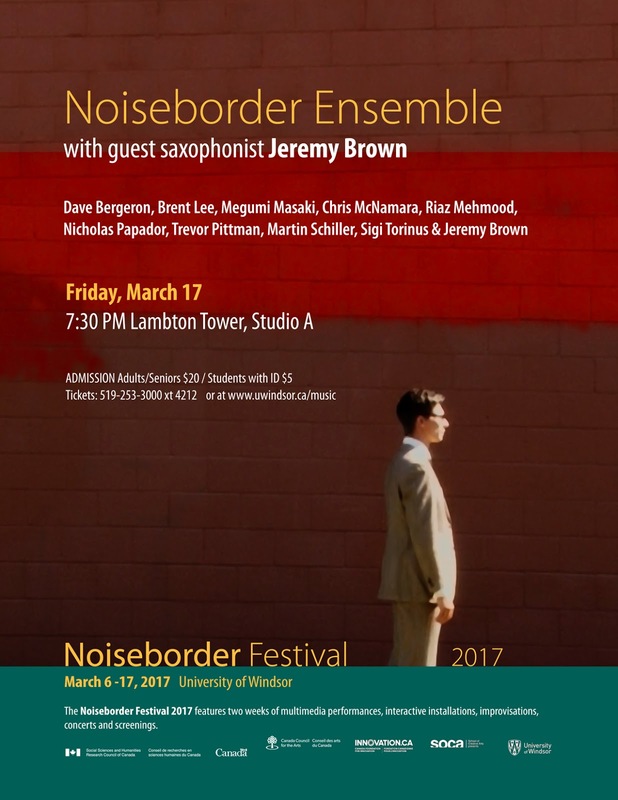 The Noiseborder Ensemble also works on an ongoing basis with collaborating artists nationally and internationally.